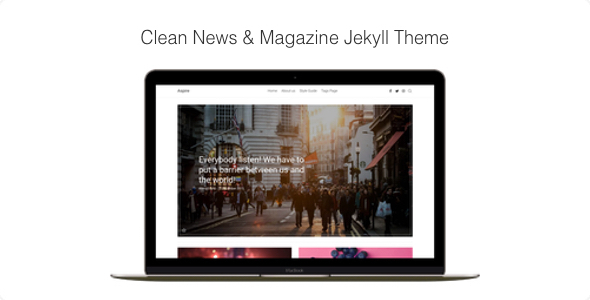 Aspire is a modern, clean, and content and image focus theme for Jekyll. Aspire is created for those who want to create a beautiful online magazine, or a news website. Aspire it is 100% responsive, that means it fits with all different kind of devices in different sizes. I’m dedicated, listening, value and welcome your feedback. If you have something to share, please send me an email at aspirethemes@gmail.com. Let’s make the theme better, useful and valuable for you.